After the Great gray owl and I parted ways it was very dark which helped me to notice a slight glow to the north. 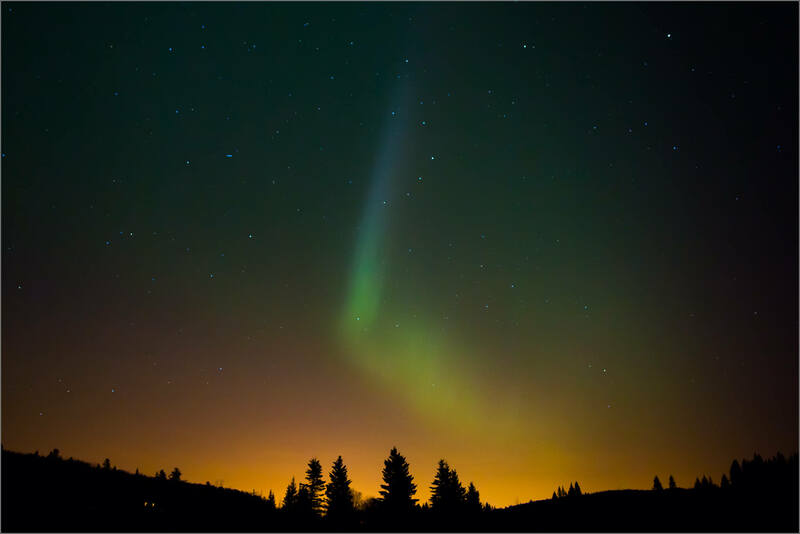 I drove to a field where I could get a better view of the sky and found the Aurora Borealis was just starting to brighten off the horizon. The lights rippled and stretched above valley for more than an hour. 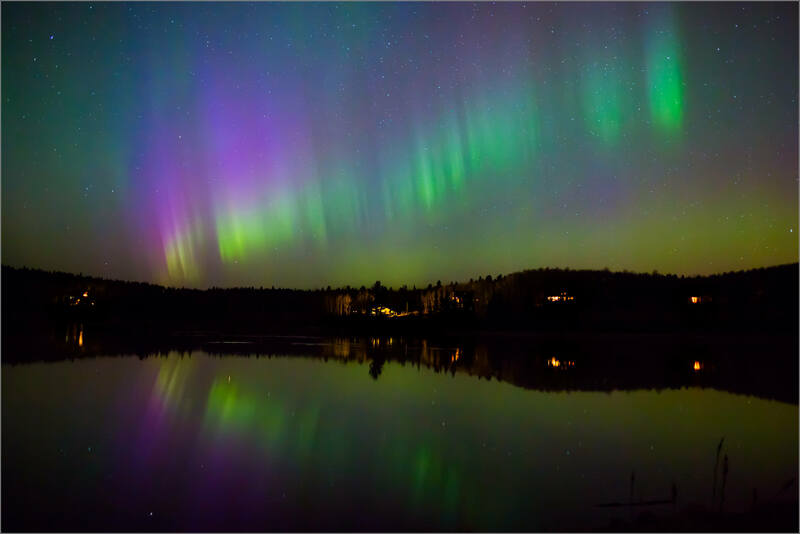 As they began to wane, I went to nearby Wild Rose Lake and was able to catch the Aurora’s reflection in the water. As well as its glow mixing with the city light from Calgary. This was an unexpected, but gratefully welcomed, surprise and end to an already great night photographing out in the country. This entry was posted on April 11, 2015 by Christopher Martin. 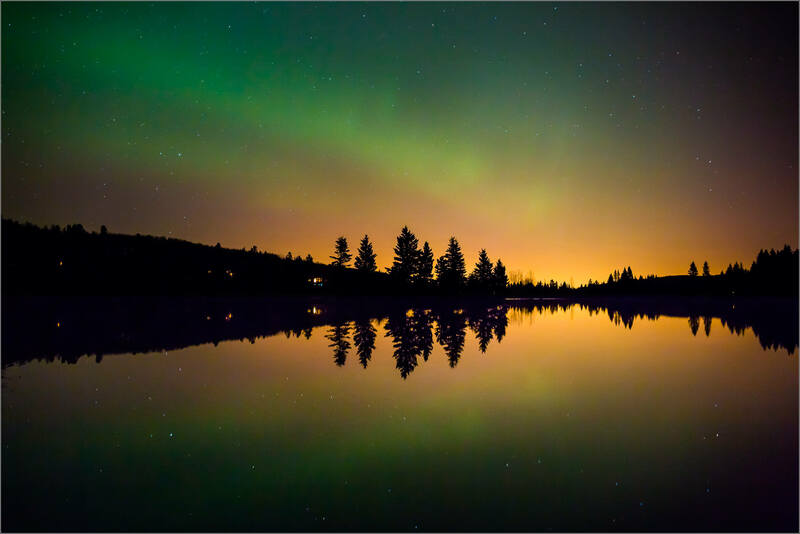 It was filed under Aurora Borealis, Bragg Creek, Landscapes, Night Photography and was tagged with alberta, Aurora Borealis, bragg creek, Canada, landscape, night photography, reflection, sky, The Northern Lights, Wild Rose Lake. Just Amazing! Great captures, Christopher! Thank you for all your hard work. Truly beautiful. Very nice photos! All of them are beautiful, but I especially liked the reflections in the water on Wild Rose Lake. 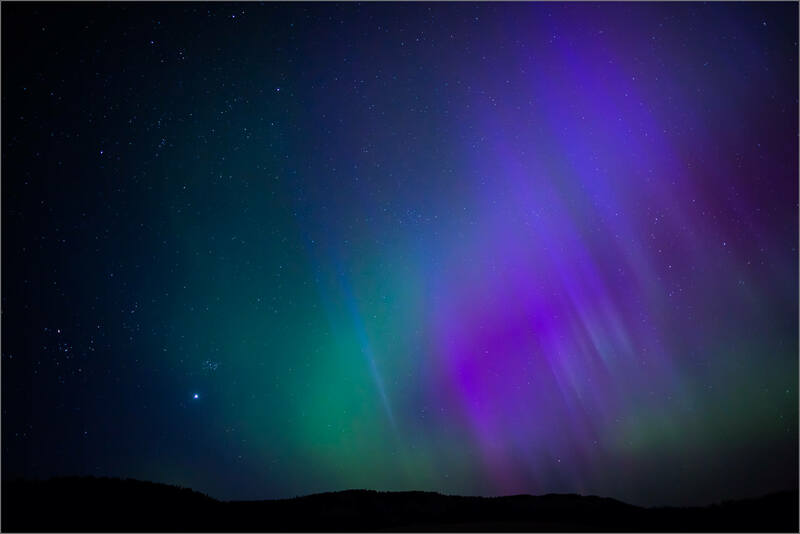 How late was it when you saw the aurora borealis, did you have to stay all night? Thank you Inger. That night the Aurora were visible from around ten until midnight. When they had dimmed considerably, I went home (too tired) so I don’t know if they brightened again later. 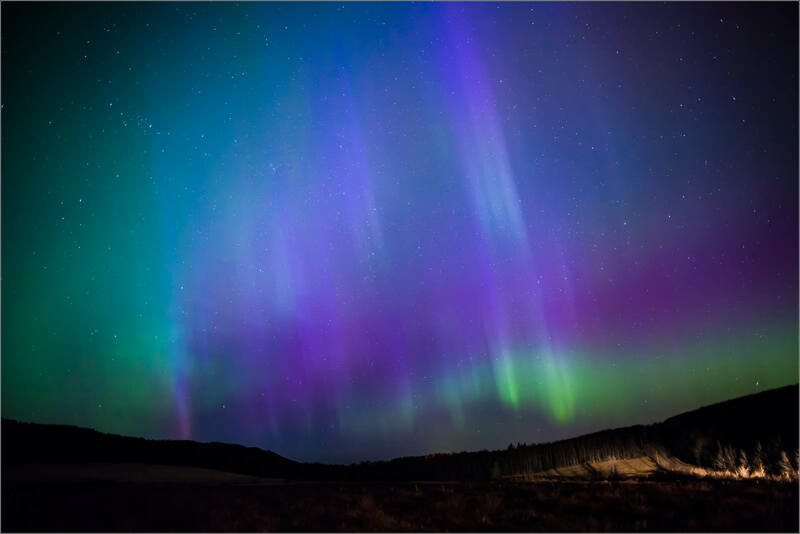 Gorgeous colors in your nightscapes, Christopher. Truly spectacular.